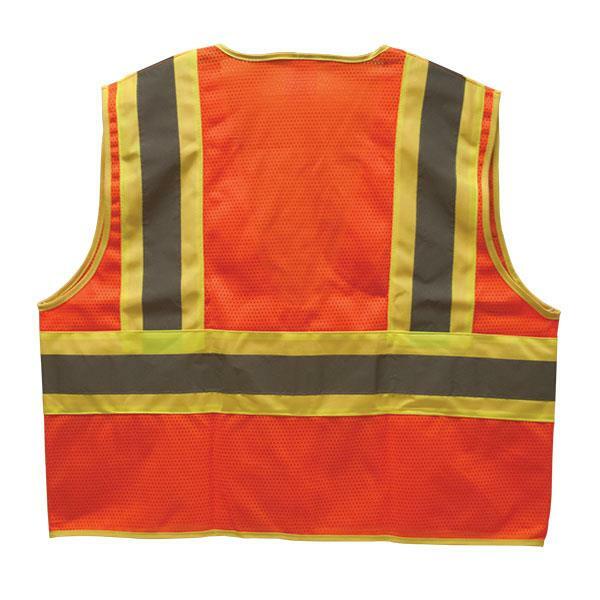 TruForce’s Two-Toned orange with lime green accent safety vests provide extra visibility along with comfort and quality. They come in sizes ranging from medium to 5XL. Purchase this vest for yourself or for your team. This safety vest is size: 3XL. SKU: LS-SV2C3O3XLTF Categories: High Visibility Reflective Clothing, Lime Green Safety Clothing, Safety Vests Tags: 3xl safety vest, hi-visibility vest, orange safety vest, truforce safety vest, two-toned safety vest Brands: TruForce. TruForce sets the standard for high visibility safety clothing. 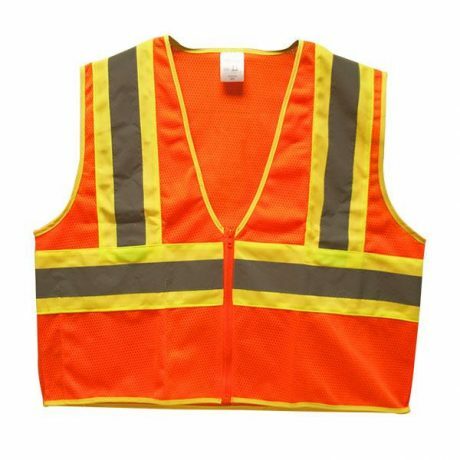 This 3XL-sized two-toned safety vest is orange with lime green accents. It is made of high quality, comfortable 100% polyester mesh. 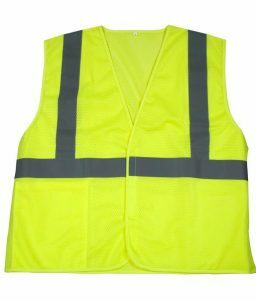 The vest is has a zipper that allows it to be easily put on and removed. The TruForce Two-Toned Safety Vest features 2-inch glass bead reflective stripes that run over the contrasting background material that runs down the shoulders and across the waist. The vest also has standard matching polyester tricot bindings. 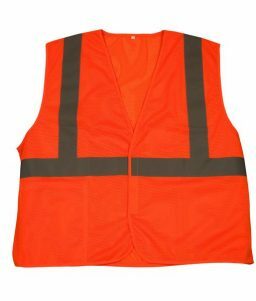 This two-toned safety vest meets ANSI 107-2010 class 2 standards, which apply to work situations wherein traffic is moving at speeds up to 25mph. This vest is size: 3XL. 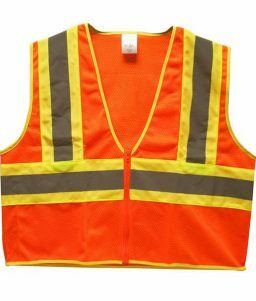 OnlineSafetyDepot.com carries this two-toned safety vest in sizes ranging from medium to 5XL. Please refer to the following sizing information to determine which size safety vest to purchase for yourself or for members of your work team. This sizes listed are chest sizes in inches.